Does your hair need a new hue? Don’t spend upwards of $120 every six weeks to get tinfoil wrapped around your head while you eavesdrop on the conversations of rich people and sip glasses of sparkling water with cucumber! No, I stopped doing that years ago when things like mortgages took priority over foils and fancy dye jobs. My solution? Think inside the box—as in, the box of at-home hair color. Not only is it economical, but it’s also simple to do! Wait for coupon so I can save $2 on the $7 box of hair color. Spend 20 minutes in the store trying to figure out what color to choose. Choose one that washes out in 28 washings. Figure that can be stretched out for what, 3 months or so? Come home and leave box of hair color in the closet a minimum of two weeks due to laziness. Realize it’s getting ridiculous and prepare to execute dye job. Place old towel over the sink and put on shirt I don’t have to lift over my head. Open box and grab plastic gloves, pull the top of the glove away from my arm and let it snap back into place like I’m about to perform open-heart surgery. Dump contents of bottle 1 into bottle 2 and shake before reading the instructions. Unleash a string of profanity at the confusion over reading the instructions. Flip instructions over to the English version. Adjust bathroom mirror so I can see all sides of my head. Notice every stray eyebrow hair I need to pluck out and that the cabinet needs to be cleaned. After spending 10 minutes plucking the eyebrow and wiping out the cabinet, start applying color to hair. OH MY GOD IS THAT A BLONDE HAIR OR A GRAY HAIR! Pluck suspect strand out of head. Get hair color on white sink when trying to throw suspect strand in the sink. Sigh. Take off glove and wipe down sink and, of course, the rest of the counter. Finish squirting on the dye, carefully take off gloves and throw them away. Unleash a string of profanity when dropping the glove in the sink. Remind myself that I’m why I can’t have nice things. Put on the shower cap and feel like a surgeon again. GAH! Note that a surgeon wouldn’t have a neck, ears and forehead covered in smudges of dark color. Grab wet paper towel and feverishly start scrubbing at the dye on my head. Realize I forgot to set the timer. Crap. How long have I been scrubbing my head? After a quick approximation, set timer. Wipe dye off the kitchen timer. Get distracted by something shiny or bright until the timer goes off. Wonder why I set the kitchen timer. Scratch head, take note of aforementioned shower cap and head back to shower. OH MY GOD THE WHITE SHOWER IS COVERED IN BLACK HAIR COLOR! Unleash a string of profanity when faced with the realization I’ll have to change the shower curtain liner again. Wipe off shower tile with my hand in effort to “spot clean” the thing. Try and remember whether or not I’ve already shampooed by hair. Rinse again as precautionary measure. Wrap towel around head and head upstairs to dry out my hair. Collapse on the bed in exhaustion. It’s hard work being a diva. This entry was posted in Uncategorized and tagged beauty, hair color, i am not a diva, instructions. Bookmark the permalink. That sounds like a lot of hard work! I’ve only dyed my hair a few times but unfortunately my hair is pretty dark, so unless I want to dye it pure black, nothing else shows up! Yup. Do that every 4-6 weeks. I went dark last fall and didn’t like it, so gradually went lighter and lighter until the roots are blond again. I have a trendy, ombre look without even trying. I’ve always pictured myself with a nice rainbow shading. Much like a clown wig, but permanent. Yeah. I can appreciate the multiple scrubbings of said counter. 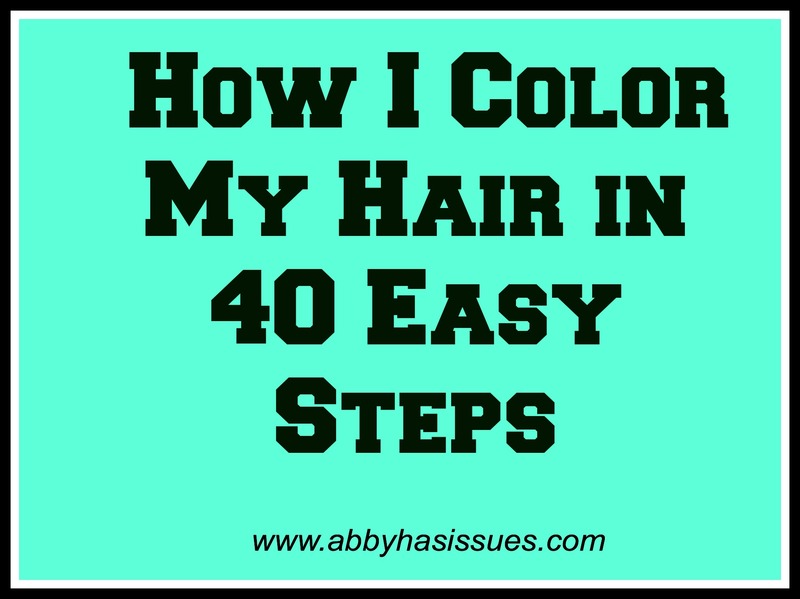 Also the forty steps it takes to dye your hair. You should go to my hair dresser. She works out of her very clean (she’s worse than me) basement and let’s me pay her in energy bars. WHAT?!? That’s a great deal. Color me jealous. Well, color my hair jealous. Hahaha I used to dye my hair, but it ended up all frayed and bleachy at the ends (“touch ups”? what’s that?). Now I just let it be. Too much effort. I could never highlight my own hair. I will totally pay for that, if I ever get that fancy. 41. Wake up to stained pillow cases. 42. Change the sheets… in a couple days. Or a stained towel, even though you SWEAR you washed all of it out. Yeah, and that’s why I pay too much money–the mess cost me more to clean. Yes, Abby. This is exactly how it is. And I don’t suggest putting your hair up in a scrunchy so you can lift a few weights while you wait. The stripe that encircles your head afterward will force you to wear your hair up for the next 4 – 6 weeks! when I was 18, I peroxided my dark brown hair. I looked more like a stupid teenager who screwed up his hair than Billy Idol. Thank God the pictrues were burned. I have had too many do-it-yourself disasters with hair color than I care to admit. Which is why i now over-pay. I don’t care much for hair days and the like, but your writing is brilliant, I love it! Thanks! But I don’t care much for hair days and the like either. Trust me. I let my hair grow in after coloring it for years. I was pleasantly surprised that it had grown into a beautiful salt and pepper color. I won’t do color again. *ahem* I plan to dye my own hair this evening and I fear that my activity will look very much like this list. I laughed my way through this process , written as if you’ve been hiding out in our bathrooms as well. HA!!! I colored my hair at home ONCE and it was such a bad experience I will NEVER do that again. Sounds about right. Except, add that you will later find dark brown dots and smudges all over the sink, rug and mirror that you swore were not there earlier and that you thought you cleaned up. I also cannot have nice things. “Remind myself that I’m why I can’t have nice things.” <– I might need to make that my life motto. You’re doing it the right way. Every time I overpay to get my hair done, I hate the colour. Still trying to gradually fade out my Ronald McDonald red hair that was intended to be a golden brown. It’s shocking I still have hair. I’ve actually got an appointment with my ‘colorist’ (I’m fancy I know) tomorrow. After reading this I think I’ll keep my appointment. Ha! You are SO fancy. Thanks for classing up the joint over here. 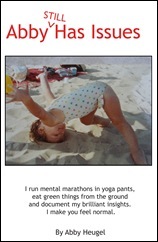 I’m exhausted just THINKING about doing all that – although I probably should… But we all know I won’t. This is exactly why I went back to coloring my hair at a salon! I just couldn’t handle the stress of doing it at home! That is exactly how I dye my hair! I always get the colorsilk kind though because, although permanent, it’s like $2 a box and the conditioner is glorious. I think I have two boxes of white blond, a box of brown, some type of bulk bleach stuff that I don’t know how to use, and two different shades of blue in my cupboard right now. I had one color mishap and that was it for me. Hot pink hair is not a good look on me. I’m so tired. Wow. No wonder I’ve decided to let someone else deal with that. I feel like it was easier when I was younger, but I think that’s because I used to drink and smoke while waiting for the color to set. Nothing like getting all the chemicals. ALL.